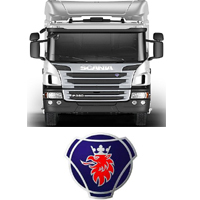 Home / JOB VACANCY / EMPLOYMENT OPPORTUNITIES AT SCANIA TANZANIA: STORE KEEPER AND PARTS SALES REPRESENTATIVE ISWANTED. EMPLOYMENT OPPORTUNITIES AT SCANIA TANZANIA: STORE KEEPER AND PARTS SALES REPRESENTATIVE ISWANTED. The Fleet Management Administrator is responsible for setting up and maintaining all processes related to fleet management. He/She is also responsible for supporting Driver Training area activities. Letters of application, curriculum vitae, copies of relevant certificates, testimonials. names and email addresses for three referees should he sent to hr@scaniatz.com as to be received not later than 3 April, 2018.